With the signing of the Dodd-Frank Wall Street Reform and Consumer Protection Act (Pub. L. 11-203, H.R. 4173) into law in July 2010, President Barack Obama granted the Consumer Financial Protection Bureau (CFPB) the authority and enforcement powers over the Fair Credit Reporting Act (FCRA). Previously, the Federal Trade Commission (FTC) was responsible for interpreting and enforcing the FCRA. The most recent change by the CFPB has been to mandate changes to the forms used in the background check process required by the FCRA. 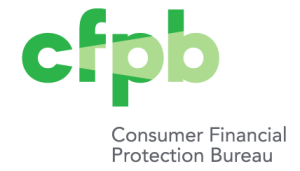 These changes reflect that end users, consumers, and furnishers of information obtained in the background check process will now contact the CFPB instead of the FTC for FCRA related information. To comply with the new requirements set forth by the CFPB and the FCRA, employers must use the new forms by January 1st, 2013. For further questions about this change, feel free to contact Justifacts at (800) 356-6885.